Experience and quality when you need it most during the hot summer months! Quallet HVAC services all major brands and types of air conditioning systems. Looking for a new AC system? We install quality, energy efficient, air conditioning systems from brands you trust. 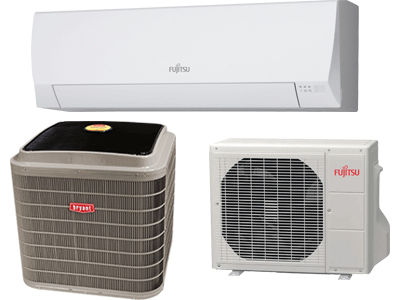 We also specialize in ductless (including multi-zone) "mini-split" cooling systems and heat pumps. 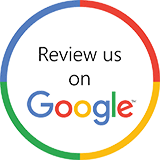 We will thoroughly evaluate your cooling needs and current HVAC system to provide you with options and estimates for new equipment. We carry and install all major brands of air conditioners to Abington, including Bryant, Bryant Evolution (including the Bryant Evolution Extreme Heat Pump - up to 20.5 SEER cooling and up to 13 HSPF heating efficiency! ), Fujitsu (including Fujitsu Halcyon systems), Haier, GE, Trane, Friedrich, Lennox, Carrier, York, Kenmore and LG. Whether you're looking for us to provide service on your existing central or portable air conditioning unit, or install a brand new, high energy efficient state-of-the-art system for your residence or business, Quallet HVAC has got you covered. Don't wait until the first summer heat wave! Don't wait until the first heat wave of summer to have your air conditioning system cleaned and checked out! Routine preventative service and maintenance goes a long way to not only extend system life, but also increasing efficiency and reducing operating costs. Contact Quallet HVAC today to schedule a maintenance or repair visit. We have an old house and old HVAC system. Joe gave me the best advice and best quotes on a replacement system. He did not try to oversell me on something I don't need.